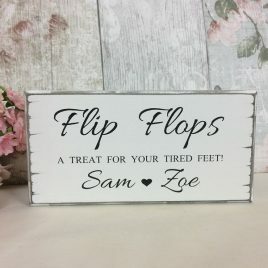 Look great standing on your gift table! 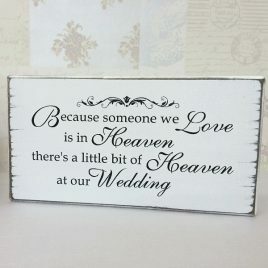 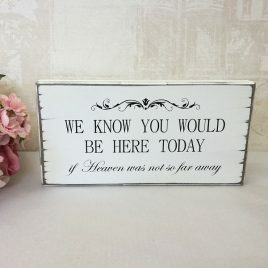 In Loving Memory of someone in Heaven to honour those who can't be with you on your wedding day. 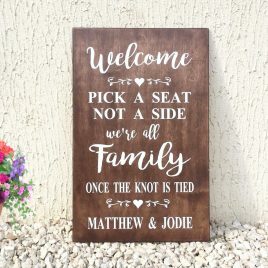 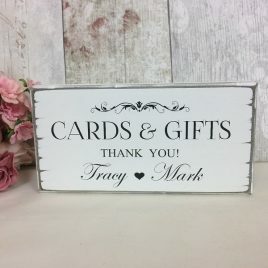 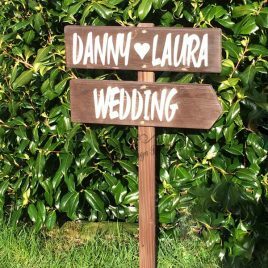 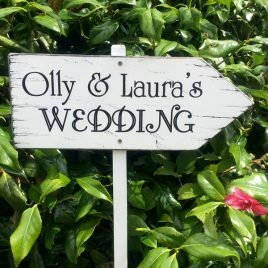 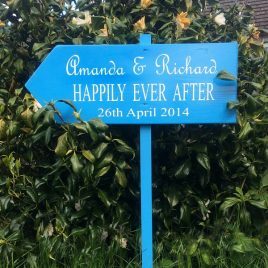 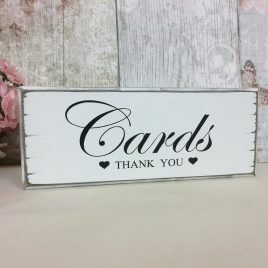 Vintage style wooden wedding sign. 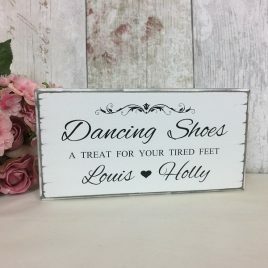 Dancing shoes Personalised with your choice of names Look great standing with your flip flop basket! 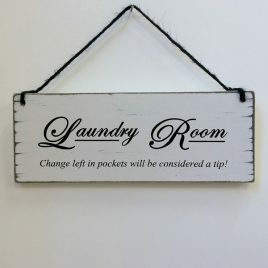 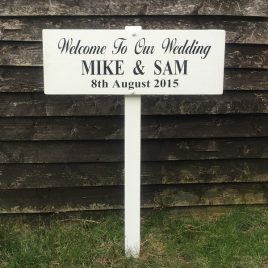 Antique white Free-standing 8" x 4" Handmade to order so please allow up to 7 days for delivery.